Signed and dated l.r., [incised plate] "Morandi 1933" and l.r.corner, pencil "Morandi 33". 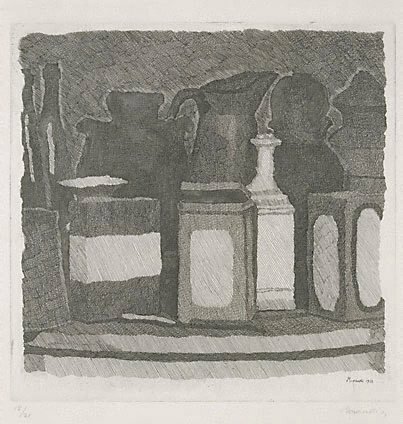 Morandi: catalogo generale , Milan, 1983, (illus.). cat.no. 100, Note that this catalogue number is for the painting of the same subject matter of this print.